There isn’t enough evidence to conclusively determine which is the healthiest method of cannabis consumption. At this time, this lack of data makes it difficult to decide which methods are definitively healthy or otherwise. That said, a growing number of studies and anecdotal evidence have given the public a loose understanding about which are the healthiest methods to consume cannabis. In other cases, respondents cited past articles from reputable sources as the basis of their opinions. Like much of the cannabis consuming public, our subjects’ healthy consumption choices are all based on science-backed evidence. To what extent, however, varies by the opinion. While the market inches closer to definitive conclusions, uncertainty still remains. Dr. Jordan Tishler, a Harvard College and Harvard Medical graduate, now runs InhaleMD Health and Wellness. Dr. Tishler also noted that vaporizing can be a safer alternative to others. Nevertheless, not every consumable is the same. She said that flower heated to 350°F allows for little to no combustion. With oil cartridges, however, vaporization could be harmful. Dr. Tishler pointed towards additives from polyethylene glycol to terpenes to MCT oil that all could pose health risks. In addition to additives, the lack of accurate heating temperatures was also a potential concern. As such, Dr. Tishler considers flower the healthiest option. Edibles are a popular choice among medical and recreational users. The effects aren’t felt until the body has digested and metabolized the food, often taking 30 to 90 minutes. Those seeking a prolonged, higher potent relief benefit from these effects. However, they can also lead to overdosing if a consumer is impatient and consumes additional doses. Amanda Winn Lee, the creator and host of A Mom’s Guide to Cannabis, tells Nugg that all kinds of cannabis consumption is safe. After years of using herself, as well as eight collective years in cancer research, Winn Lee recognizes the benefits of edibles while acknowledging the risks. Tinctures are the strained end result of cannabis flower being soaked in strong alcohol. These alcohol-based cannabis extracts are some of the more popular choices among users seeking smoke-free alternatives. They can be ingested on their own or be paired with a number of foods and beverages. Aside from the standard adverse side effects of using cannabis, tinctures have no large-scale health concerns to date. Decarboxylized pills have seen a sharp rise in popularity in recent years. Consumers choose pills for their discretion as well as their accurate dosing. Doctors also appreciate accuracy when it comes to prescribing cannabis. “Capsules offer an element of simplicity, allowing healthcare practitioners to prescribe an exact milligram amount to a patient,” Dr. Kishan Mahabir told The Growth Op last year. Pills provide accurate dosages and similar effects as edibles. Unlike edibles, though, a pill ensures that the consumer knows what dose they are taking. Cannabis smoke and cigarettes may appear the same. However, they seem to be quite the opposite when in our bodies. While most studies appear to agree that cannabis smoke presents little or no harm, its side effects can still present issues one would want to avoid. 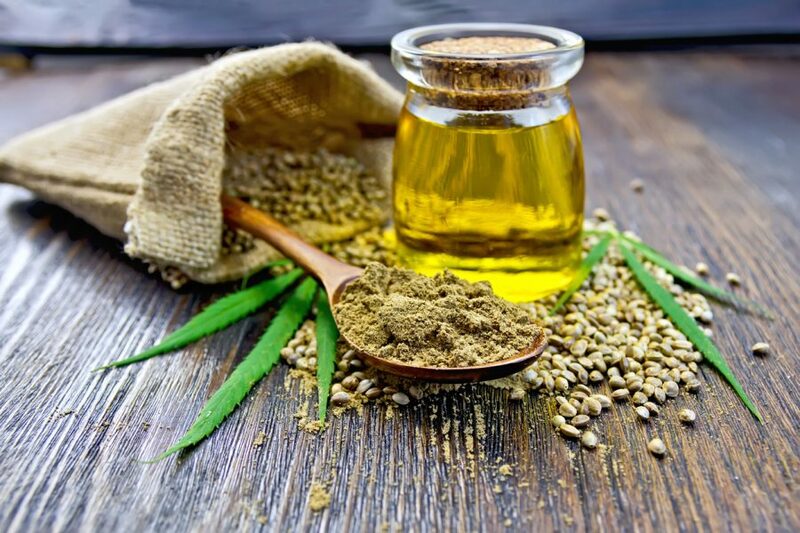 They went on to explain that stronger cannabis extracts, often used in dabs, may cause more problems, but additional studies would be needed to find a definitive answer. To create concentrates for dabbing, smoking, eating and other applications, a producer must extract the oil from the plant. This is done using a variety of methods. Some methods involve solvents like butane, alcohol and several others. However, DIY heat plate technology and bubble hash extraction allow for products to be consumed without any chemicals involved. Solvent extractors often rely on the removal of the solvents in their final products. Meanwhile, detractors point to chemicals being used in the process at all. At this time, while concern still abounds, solvents have not been found to be dangerous to a person’s health. We can’t definitively say which consumption method is the healthiest. While there are possible health risks to any method, nothing is certain. Some may love vaping while others fear it could give them popcorn lung. Smoking flower is fine to most, but the effects of combustion are a concern to others. Meanwhile edibles and pills provide time-released relief, both can be overdosed by impatient consumers. Regardless of the negatives, each of the methods above has myriads of positives. For that reason, the choice has to come down to you, the user. You have to determine which is the optimal way to consume and feel your best. If you want to avoid mildly questionable methods, pills or tinctures may be best. In other cases, the unconfirmed notions surrounding smoking and vaping aren’t enough to change your preferences. It’s always best to stay informed and use the most recent and reputable findings to understand the evidence. Consider your own preferences and feelings as well. While the industry builds itself up into the informed powerhouse it will become, all consumers can do is make the best decisions based on the knowledge they have.